RHYS BOWEN: Chrystle Fiedler and I share a love for dachshunds. My family had a wonderful dachshund while I was growing up and I've always adored these intelligent and feisty little dogs. So I'm delighted to welcome her to Jungle Reds today to talk about her books, her passion for animal rescues, and her dogs. 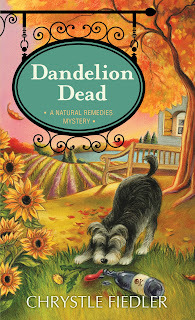 Chrystle Fiedler : All of the books in my natural remedies mystery series focus on animal rescue. 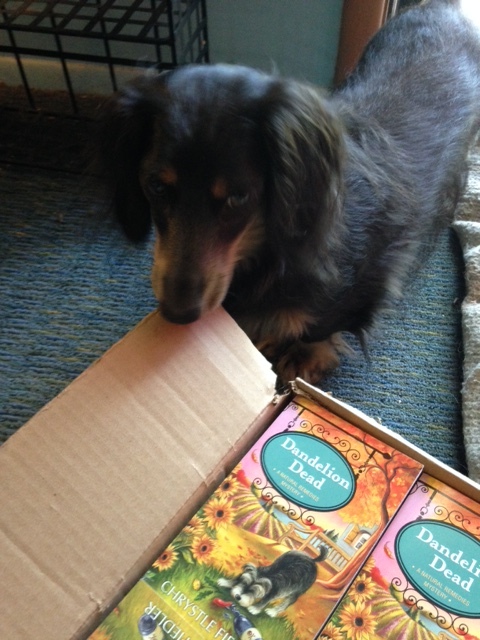 In Dandelion Dead, the latest in the series, Willow McQuade’s boyfriend Jackson Spade officially opens up an animal sanctuary for everything from dogs and cats, to birds, horses, pigs and goats, and they adopt a cute little dachshund name Zeke. If you are counting it means Willow and Jackson now have 2 cats: Ginger and Gingko and 4 dogs: Qigong, Rockford, Columbo and now, Zeke. All are rescues. All adorable! I love dachshunds as much as Willow McQuade and Jackson Spade do! I adopted my first dachshund Holmes, right after I moved back from L.A. where I worked in TV production and was a screenwriter, to my home town of Greenport, where I purchased a cottage in the village. Throughout the process of building my writing business from consumer magazines, to non-fiction and the natural remedies mystery series, Holmes was a steadying influence. He, along with Tinker and Tuppence, the two rescue cats I adopted next, to keep him company. But Holmes, was special – he was like a little Buddha giving me advice in his own way. Often, I’d want to do something and he’d want to do the other and when I followed his lead, I realized that it was the right thing to do! Like take a break and go outside in the sunshine or go to bed early after a particularly stressful day. You can see from his photo just how wise he was! After I read a book that said, “Are you ready to be owned by dachshund?” I realized who was in charge. But that was fine with me. It’s been over year since he’s been gone and I still miss him so much. He loved me unconditionally and he was so smart and wise, a steadying influence throughout life’s up and downs and everything in-between. When I wrote, he would often lie at my feet and take a snooze on the couch, his presence always a comfort. A little more than a year later, I still miss Holmes, and I dedicated my new book Dandelion Dead to him. Today, both of my dachshunds, Wallander, 7, and Murdoch, 1, (he’s the one opening up a box of my books!) come from a wonderful organization called All American Dachshund Rescue (www.allamericandachshundrescue.org). If you love dachshunds I dare you to visit the available dogs page and not want to take them all home or become a foster pet parent! Each year, millions of animals like this end up in rescue groups like this and shelters just waiting for a forever home. But you can make a difference. Adopt your next dog or cat, don’t buy one! Many rescues offer transport from one location to another, so don’t let distance stand in the way of your new best friend. The fees are more than reasonable and usually include a full vet check, medical treatment, and spay or neutering. If you are interested in a particular breed, you can find any dog you’d like to adopt. Just put the breed of dog you are interested in your search engine and the wordrescue. Or look for a breed rescue in your area. Of course, mutts make wonderful pets, too, and so do cats and many other animals. Remember that when you open your heart and home to a rescue, you are saving two lives, the pet you adopt and a new animal in need that you’ve made a space for, to be rescued and given a better tomorrow. Tell us about your rescue, your best friend or what kind of animal you’d love to adopt and you’ll be entered in the giveaway for a free copy of DANDELION DEAD! Your dachshunds are so cute! 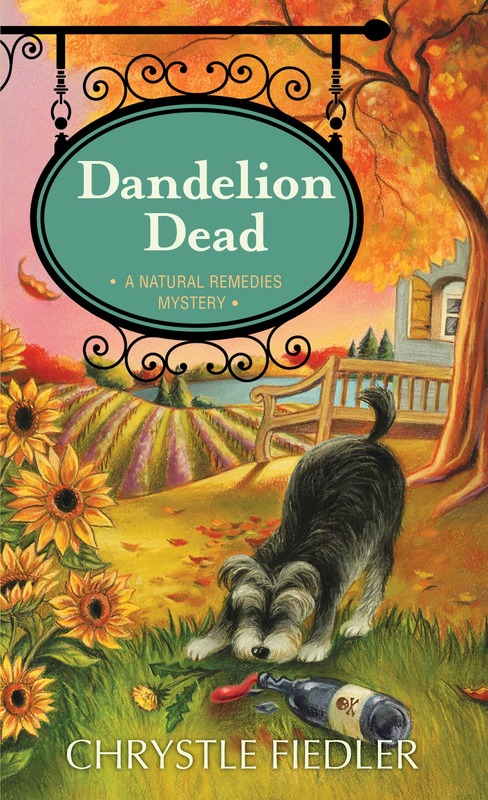 Thanks for sharing the information on adopting a rescue animal . . . .
Congratulations on the release of your latest natural remedies mystery series book, Dandelion Dead. Adding it and the previous titles to my TBR list. The dachshunds are adorable! I think we have similar animal rescue organizations in most regions in Canada. If I adopted an animal, it would more likely be a cat instead of a dog. Not really picky about choosing a specific breed, though. What a wonderful way to start the morning! Chrystle, you are a saint. I have six rescue cats, I've had as many as eight at a time, we don't have time for all their stories, some heartbreaking, some careless, so I'll just say, Pirate, Smokey, Elvis, Star, Fred, Hutch, Missy, Zoe, Jennie, Piper, and Cub thank you for this post! Adopt--don't shop. 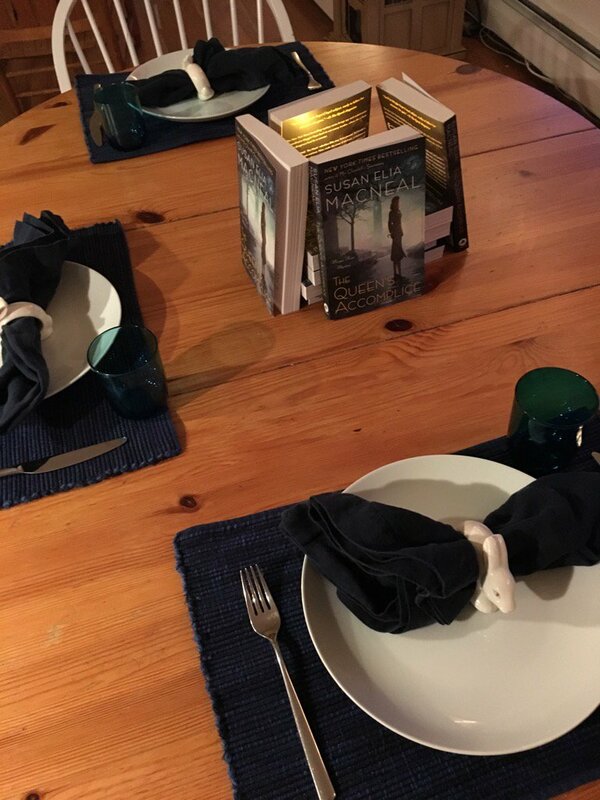 Same here--will be looking for Willow's new adventure--and Munch and PK (two rescue cats) say hello, as do Leroy and Lilly, the rescue shepherds, and Malcolm and Nemo--two rescue mini-dachs! 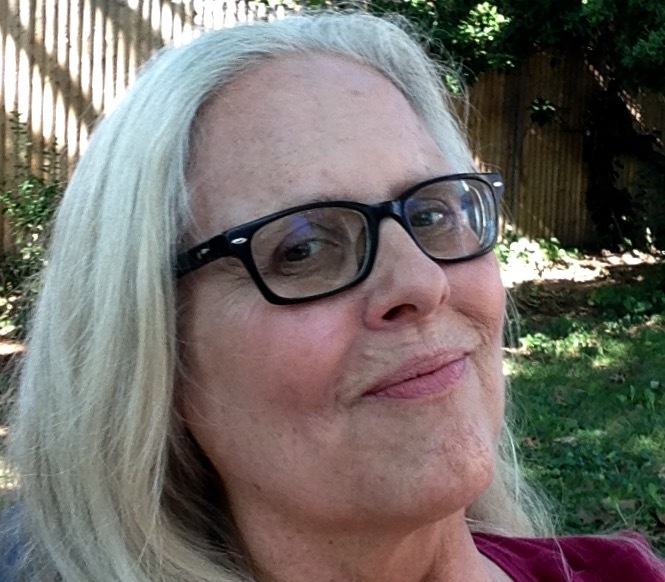 Thank you, Chrystle! The book sounds like fun, and I really appreciate you putting in a good word for rescues. I've volunteered with a border collie rescue group here in Texas for nearly four years, after an amazing border collie saved my sanity when my husband died. Rescued dogs are great dogs. They usually come to their new homes fully vetted, house-trained, and even knowing a few obedience commands. Rescue fosters are willing to sacrifice shoes, pillows, and carpets to each new foster dog so new owners will get a civilized, socialized dog they can love forever. Plus we can tell you so much more about a dog's personality than you'll ever know if you buy a puppy, sight unseen. I do believe there is a place in the world for good, responsible breeders, but if you're not planning to show your dog, please consider a rescue. My life would be so much more boring without Tam, Chess, and Zoe. Plus, of course, the very wise and patient cats Scrap, Conrad, and Ella. We had a wonderful Sammy and if we could get another just like her we would. 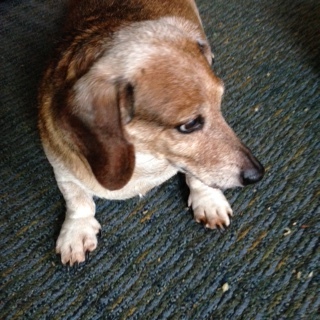 I can't say I've ever had a personal relationship with a dachshund, and now I see a glimmer of what I've been missing. Friends have had a couple of corgis, and they are so charming, but clearly, I need to make the acquaintance of a dachsy or two. All our best dog family came from rescue operations, including the city pound. The smartest dog I've ever known was Sebastian, my daughter's (now in well-deserved dog heaven) blonde part Sheltie. He literally taught her and her husband how to be parents, and when they finally did have a son, he was his guardian angel. My heart is so full! It's so wonderful to hear that Rhys loves dachies but all of you who were kind enough to leave comments really touched me deeply. Animal rescue is so important especially today because the pet over population is a true crisis. When I was younger, I didn't understand this - I don't think many of us did even 10 years ago. But once I knew about puppy mills and pet stores, I was horrified and knew I had to help just like many of you have done! I wish I had more space though -- my house is small just about 600 square feet but I do have a nice back yard that we all enjoy in nice weather! If I had more space or someone to help me -- although my elderly Mom dog-sits whenever I go out! -- I'd adopt more! If I ever do get a best-seller and some serious cash I'd definitely want to set up a sanctuary and a foundation to help homeless pets of all kinds, dogs, cats, horses, goats, pigs and chickens! All animals think, feel and love and are sentient beings. This is why its so important to provide loving homes for as many as we can! I hope that this post encourages you to think or re-think your choices for a pet and that you open your hearts and homes to a loving animal. There is a saying -- Who rescued who? I know what has been true for me! We've had rescue cats (rescued them ourselves) until we had to give them away (asthma). But I love other people's pets and dachshunds are especially sweet. Congratulations on the book, Chrystle! When I would take our dachshund for a walk and we went in a direction he didn't like he'd lie on the sidewalk and quiver. Soon we'd have a crowd around us saying "Poor little thing, something's wrong. Carry him." I'd pick him up, take him a few yards, set him down and say "Don't you dare try that again, we're going this way because we have to go to the butcher's." And he'd look up at me, grin and trot along merrily. Yes, they are smart and independent thinkers! Laughing in Ohio, Rhys. Malcolm, one of the mini-dachs, is quite good at lying down comfortably--especially if it's a nice day and he isn't ready to come in--and you have to pick him up and carry him indoors, or wherever you're trying to go. His brother Nemo is always on top of everything going on inside or not, but we call Malcolm clueless, because he really doesn't have a clue what's happening, but joins in barking quite happily. He also has the sad-eyes, 'May I please join you on the couch?" look down pat. Congratulations Chrystle and Susan on your book birthdays! We had a mutt for 14 years. A lab/beagle mix. Casey came into our lives when a previous neighbor's sister was going through a divorce. She couldn't take the dog because her new apartment didn't allow pets, and the soon-to-be-ex was neglecting him. He was so wonderful with the kids when they were small. A bit of a barker, but I still can't look at a picture of him without a pang. I've always been more of a large-dog person, but I consider dachshunds to be big dogs trapped in a small dog's body. I want to rescue a retired racing greyhound. The Girl wants a Golden Retriever. I tried to pitch getting a dog to The Hubby as a promotional tool (my protagonist has a Golden Retriever), but he said no. I torture myself some days by looking at pictures from rescue sites. Some day. Dachs are such characters. Friends have two mature ladies and they are nutty as fruitcakes and tons of fun. All my dogs and cats have been rescues, except one. 30 years ago my husband and I saw a red Abyssinian cat in a NYC pet store. We were enchanted, but could not imagine paying the price. Fast forward, we now have a handsome tuxedo boy rescue and a stunningly handsome red Aby. We had another beautiful lady tabby rescue, but, sadly, lost her to cancer last year. One of our German shepherds is a rescue. The other came from a very responsible local breeder, whom we carefully researched and visited several times before choosing our puppy. (When then had to wait another month before our Dax was old enough to come home with us.) The breeder was vetting us just as much as we were vetting her! There is a place for reputable breeders, especially if you love a particular breed and want to see it continued in healthy and well-bred dogs. But NO PUPPY MILLS, and no buying puppies from people setting up in parking lots and local flea markets, etc. I have a funny dachshund story. We have a neighbor who walked her two little male dachsies at the same time I walked our first German shepherd, Hallie. Hallie was a big dog, over a hundred pounds. But she had the biggest crush on those two little boy dachshunds. As soon as she saw them, she'd go into wriggles of delight, and when she got close enough, into a play bow. The little guys loved her, too, and always wanted to play. It still makes me smile just thinking about it. I'm traveling cross-country from Colorado to Maine with my best friend and her dachshund, Gretchen. 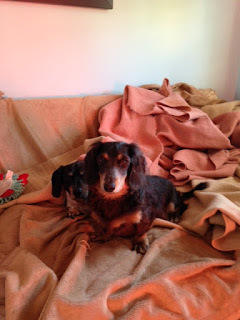 Gretchen is a long-haired little queen, and I have seen first-hand that you do not own a dachshund. The Dachshund owns you. When I was growing up we had a dog that was half dachshund and half cocker spaniel. He was devoted to our family, especially to my dad, and had a habit of trying to "protect" us from our friends! He lived to be fifteen. His health started to deteriorate after my dad's sudden death. Dad would have a cup of tea when he got home from work and would then go upstairs for a short nap. The dog followed and curled up next to him on the bed. If it seemed to be taking Dad too long to drink his tea, the dear dog would run to the stairs to the second floor and bark until Dad joined him! Nearly every dog I've ever met has loved me, and people keep telling me that's a sign that I should get one! For a number of reasons I don't have any pets but if a dachshund fell into my life and needed a home, I could just break down and adopt it! Susan, I must get the new Maggie Hope! Chrystie, I love what you said about adopting a rescue saves two lives, the animal you're adopting and the animal needing a space at the rescue. I've never bought a dog, always pound or taking in a stray. My husband did buy one dog, his bird dog many years ago. My Australian Cattle Dog died a year and a half ago, and I am now at the point where I want another dog. I'm not sure what kind, but I've started checking the rescue sites and humane shelters. My dogs have always found me, so I'm hoping that is the case again. I think I would really like your books and plan on checking them out. Thanks for visiting the Reds today. A separate post to say a huge congratulations to Susan on the publication day for The Queen's Accomplice. I loved this book so much! Of course, I love the whole series, too. "Rescuing" animals from the shelters is the way to go. My beloved border terrier mix, Boo, was the best dog we ever had. He was special. We had to have him put down here at home a week ago and it broke my heart. It helps that Jack, a rescue dog I got for my father-in-law, lives with us now. But he isn't Boo. Many thanks to everyone who stopped by to share their stories today! Keep 'em coming! Congrats to Susan on her new book! I'm reading #1 and absolutely love the series! Susan's writing helped to inspire me to try my own hand at historical fiction and I'm very excited about starting a new project! I am traveling to England next May for a month to visit and do some research! I've been twice before and am eager to return. I am very concerned about leaving my pups at home, but they'll be with my Mom-Grandma and I'll have a professional pet sitter come in to help out too. So hopefully all will be well! Were you at Malice this year? Your name looked familiar and I wondered if it was from the Malice Domestic 2016 list of authors.